Cherish the remains of history in Karachi till they last as the concrete jungle is taking over the entire metropolis like wild fire; no matter what direction you look at, all you see is a 15 or 16 storey building erected as a monster (though some even look nice), thus blocking sunlight and affecting wind direction substantially. These make you wonder where we got such an abruptly growing massive population that old properties need to be sold for new and uglier projects. Amidst this entire construction lie some very old houses that take you back in history thus making your curiosity question the existence of humankind in different eras. 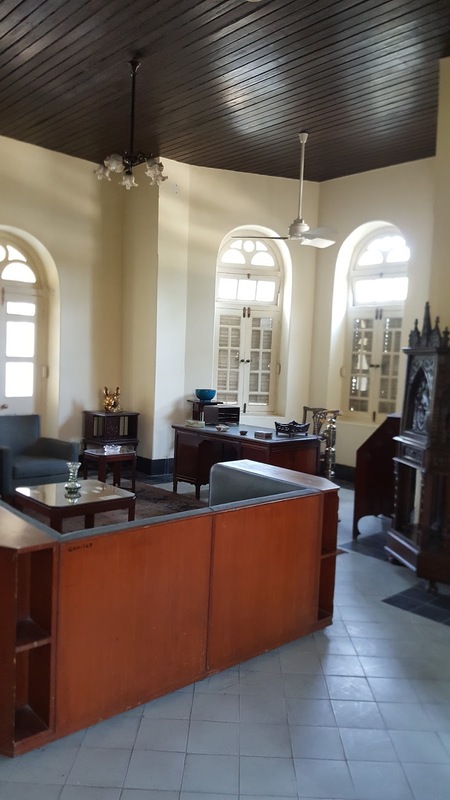 If you look at the old construction in Saddar, especially the Parsi Colony, old churches or the Cantt Station vicinity, you would fall in love with the yesteryears and admire the 18th and 19th century for its invaluable treasures. Unfortunately time travel is limited to movies and books only so you’re left with no choice but to admire what’s left of it. What I have in mind right now is the Quaid-e-Azam Museum House located near the Frere Hall, ironically not many people are aware of its existence or worse yet, are even totally oblivious about the history that lies inside it. Even I myself got to know that it’s a museum and is open to the general public when I read an article by the photojournalist, Danial Shah. This museum is open for the general public from 9 AM to 4 PM on a daily basis other than on Wednesdays; it is guarded by the Rangers that are stationed for its security as they perform their duties under the scorching sun or the shade of a giant tree (thankfully, old trees have not been chopped down as per the general habit of our locals) killing time into whiffs of smoke. Outrageously enough, you would even see the packets of cigarettes studded into the tree roots that have surfaced on the ground, you can simply acquaint yourself with all cigarette brands they consume and decide not to discard them properly. 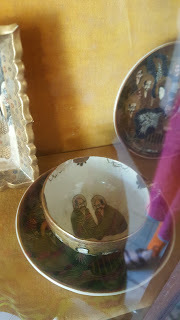 Anyway, I planned up to visit with a friend of mine and admired the place so much that I visited it again with my niece and nephews after three weeks. 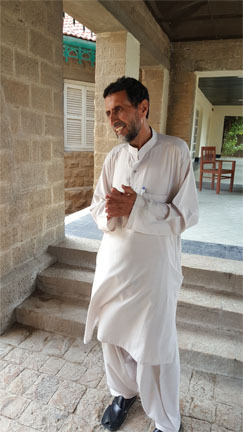 There is a tour guide, Mr. Rasheed at the Quaid-e-Azam Museum House who has been serving this piece of history since 40 years or so, his knowledge is at par with any history aficionado as he discusses historic topics and asks some questions about topics we have long forgotten after getting done with schooling. 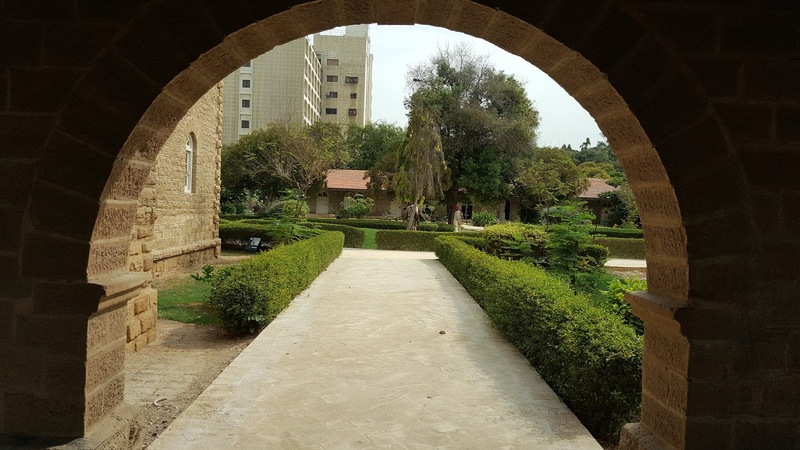 His down-to-earth nature is among the attractions of the stunning architectural monument that would lure you further into knowing this piece of history. 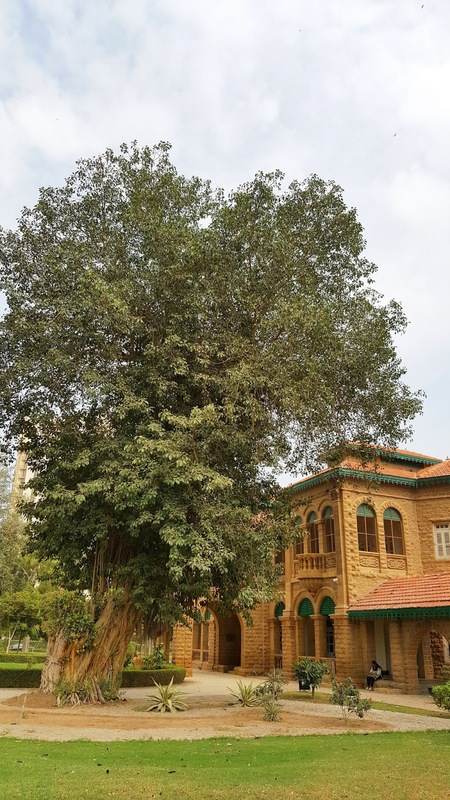 What now is known as the Quaid-e-Azam Museum House was designed by the British Architect, Moses Somake (June 6, 1875 - April 6, 1947) and was built in 1868, covering a massive land worth 10,241 square yards. This legendary architect is famous for his various other historic projects in Karachi, some of which are Karachi Goan Hall, Edward House, Mules Mansion, and Bai Virbaijee Soparivala Parsi High School. 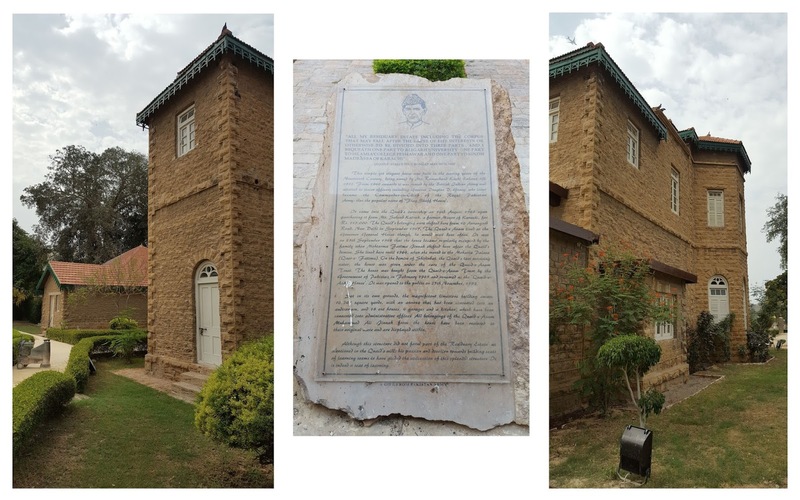 This house was termed as the Flagstaff House as from 1940 onwards it was rented by the British Indian Army and allotted to senior officers, including General Douglas D. Gracy who later became the Commander-in-Chief of the Royal Pakistan Army. There is a stone slab placed that has brief information printed upon its surface, underneath it are the words, ‘Gift from Pakistan Army’. 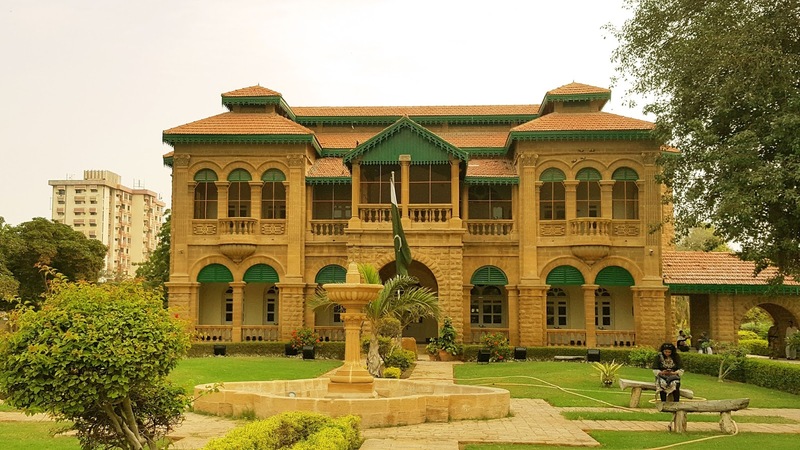 It states that the Quaid purchased this house from Sohrab Katrak (former mayor of Karachi) in 1943 for a price of Rs. 115,000. He would visit it often, though he lived at the Governor General House. 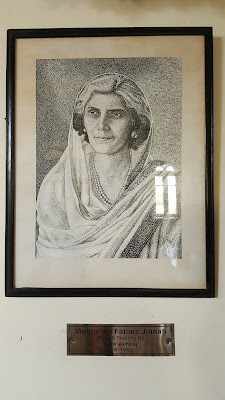 After Jinnah’s demise, the house was inhabited by his family; his sister, Fatima Jinnah shifted here on September 13, 1948 and continued living at his residence until 1964 when she decided to move to the Mohatta Palace. Upon the demise of Shirinbat, Jinnah’s last surviving sister; the house was given under the supervision and care of the Quaid-e-Azam Trust. Later, the Government of Pakistan decided to buy it from the Trust in February 1985 and renamed it as the Quaid-e-Azam House. It was opened for public on November 25, 1993 although most of us are still unaware about this splendid structure we pass watching quite often during our daily commute. Mr. Rasheed walked us through the historic place through the back entrance as the front gates were closed and the balcony above sealed for some time bound preservation purpose. “Our Quaid was a very sophisticated person and a highly dignified personality, he never bowed down in front of anyone irrespective of his/her designation,” says he, “Unlike the politicians of the present era, he led a life that was an example for everyone.” He then sighs at the present day situation of the country and the political chaos that has engulfed us all in it vicious jaws. He tells us about the visit of the Quaid’s daughter at the invitation of General Pervaiz Musharraf back in 2004 and how she broke down at the very history in front of her that she was part of. To our surprise he tells us that there was a time when the sea was visible from here. “Who coined the name, Pakistan?” Mr. Rasheed asks us, shame on our forgetfulness and ode to the history lessons long forgotten, he then tells us that it was Choudhry Rehmat Ali who named our motherland, Pakistan in 1933. As we walked inside, the relics from many years ago seemed to welcome us with their hopeless hollow outlook yet highly attractive in their vintage glory. There was a dining room with a dining table that had a seating arrangement eight people; the walnut tree wood dining table was beautifully carved to add to the sophistication of the entire place. 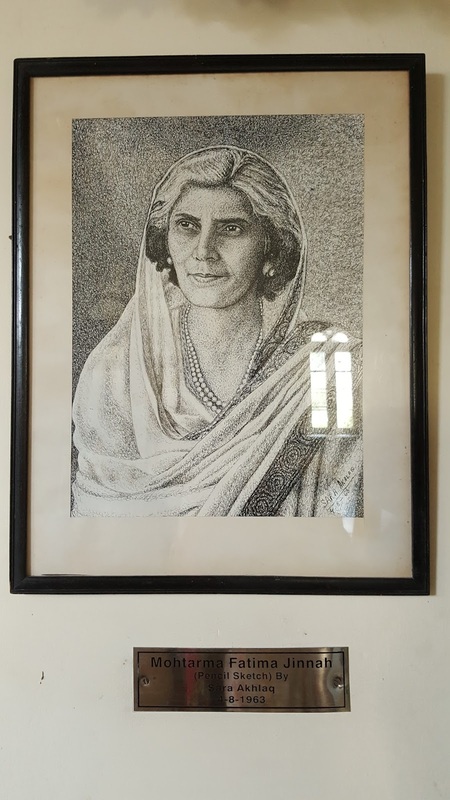 There hung a beautiful pen drawing of Fatima Jinnah that was drawn by Sara Akhlaq in 1963, I don’t know why it has been labeled as a pencil sketch because it’s not a pencil sketch at all but rather a very well made pen drawing. So I hope they correct it soon. Below are some photographs mounted on the walls of the museum. Pakistan has not witnessed such great politicians ever since this time. Below is Jinnah's cup that had a very unique characteristic, it would tell through a change of beverage colour if it was poisoned. This particular tea set was a gift from Japan. Know your history, know your roots and get to acquaint yourself with the treasures of your homeland ... This, ladies and gentleman is the Quaid-e-Azam Museum House! Otherwise, excellent work, Hiba. Well done and keep it up. Thanks for the correction. I've edited it. And just read what you've shared ... history is controversial.